I thought about the two-tone gray camo since I love that scheme, but up until late in the build I was still torn on whether I wanted to make it a WHIF or real world, so painting in the standard US Gull Gray/White combo let me put off the decision a bit longer. You've inspired me; Hasegawa 1/72 scale on its way from fleabay - no decals, don't need 'em, hope the rest is there! I was going to ask which boxing but given there are no decals and the same moulds have been in use since 1979 the question is redundant. It's a nice kit. Remember to drill the holes for the fuselage missile mounts before you close the fuselage halves. In an effort to form closer ties with the Australian armed forces the US offered an unmodernized Essex class carrier to the RAN in 1960. The offer was turned down because the cost of modernizing the ship and adapting it to the FAA's mostly British-built fleet was deemed to much. Following the US offer to provide an Essex class carrier to the RAN in 1960 the decision was made to accept USS Valley Forge in 1961. The ship underwent extensive refit to the same standard as the USS Oriskany's SBC-125A standard including steam catapults, angled aluminum deck, and enclosed hurricane bow. The expense of adapting the ship to operate the RAN's primarily UK built air arm was overcome by ordering new aircraft from the US. An initial order for 14 Grumman S-2E Tracker and 18 F-8E Crusader aircraft was placed in 1963, with 14 A-4E aircraft being added in early 1964. RAN crews had trained extensively with the USN aboard Essex class carriers from 1961, so when the newly rebuilt HMAS Canberra entered service in late 1964 it quickly entered active service with an air wing of Tracker, Crusader, aircraft and Wessex helicopters. 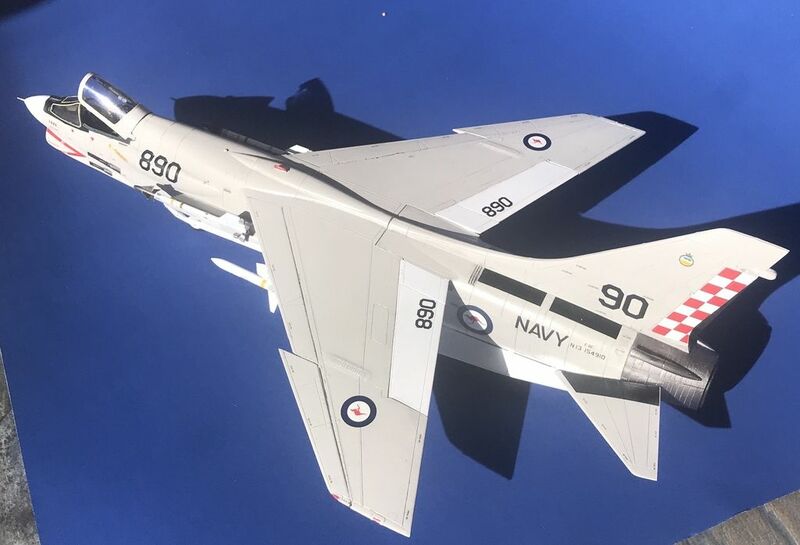 Canberra served proudly until 1986 when it was replaced by two Invincible class V/STOL carriers operating BAe Sea Harrier aircraft. 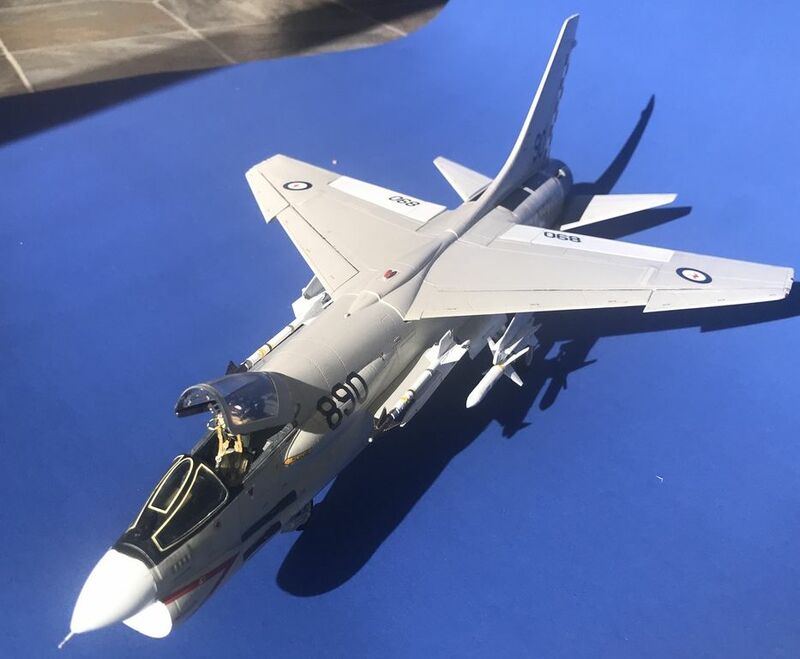 This model depicts an 805 Sqn F-8E(AN) operating from HMAS Canberra during its 1967 combat tour during the Vietnam war. 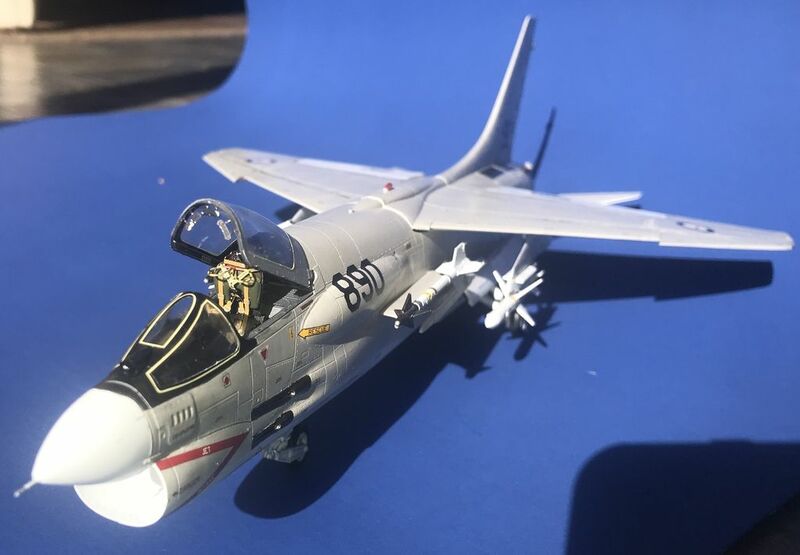 During this tour RAN Crusaders flew a large number of SEAD missions carrying Shrike missiles (Shrike capability was one of the F-8 modifications for RAN service) in support of both RAN and USN A-4s. 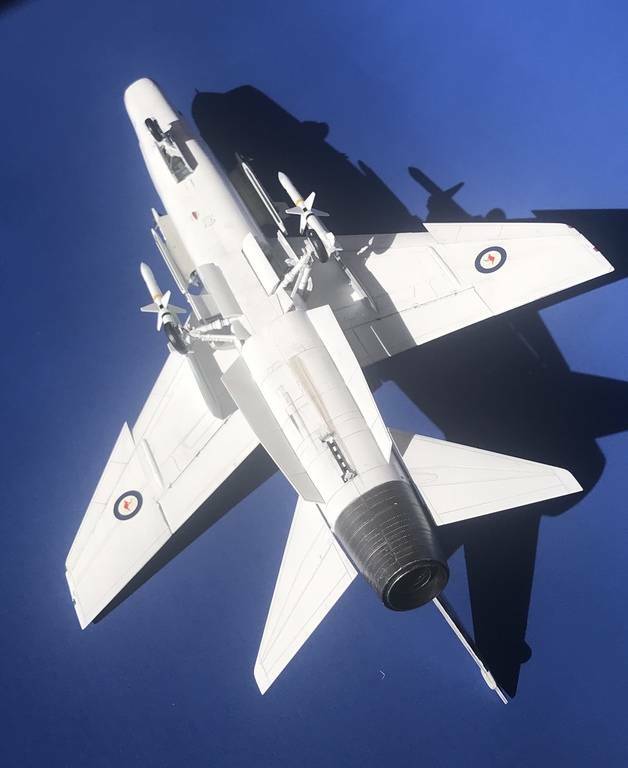 The standard Shrike mission loadout included two AIM-9D Sidewinder AAMs on fuselage pylons. During their single tour in the war FAA Crusaders downed 2 Mig 21s and 2 Mig 17s with Sidewinders and a Mig 17 with cannon. This was an enjoyable build. The Hase kit went together well with one exception* and the Eduard boxing has a lot of nice extras in the form of PE and Resin. I did not use the resin wheels, and I thought the kit wheels were fine and the resin set looked like a lot of work I didn't feel like tackling. The resin seat with PE detailing was really nice. 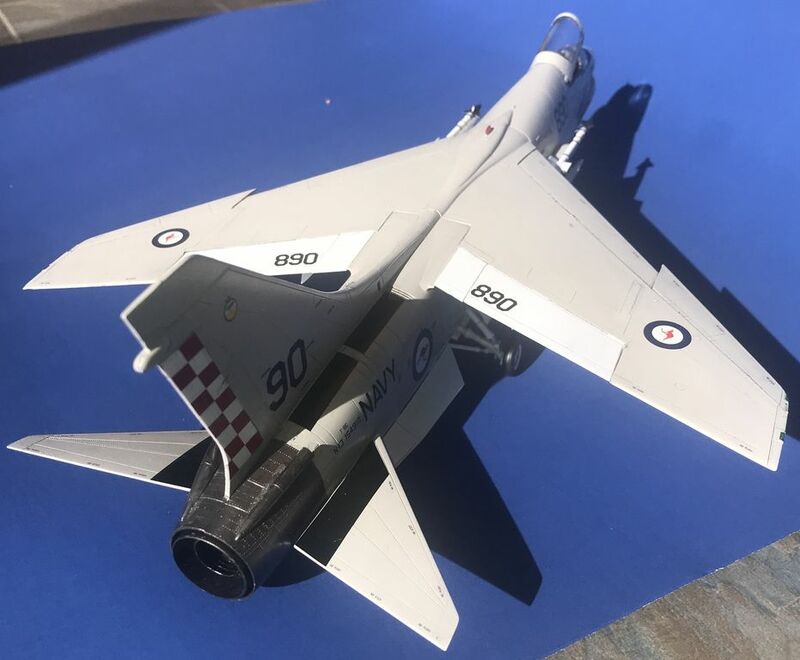 I used all kit decals for stenciling as well as the checkerboard tail (USN VF-211 markings are the same red/white checkerboard tail as RAN VF-805). 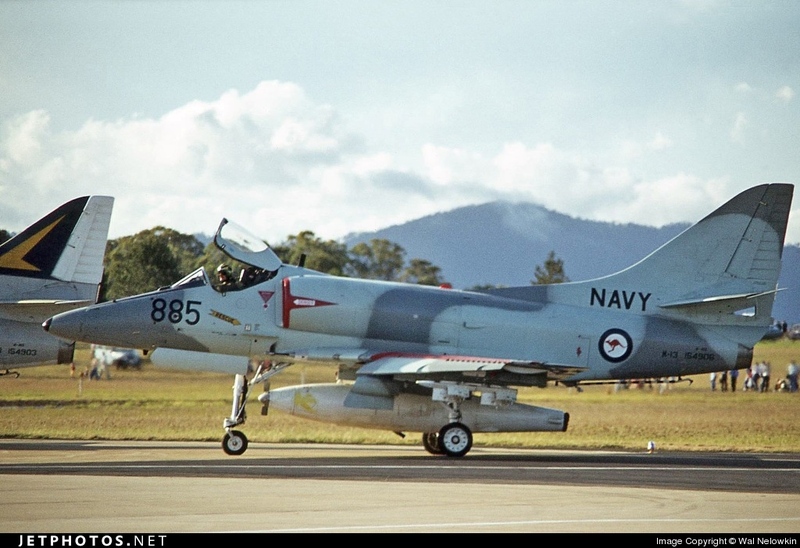 The Roondels came from a mix of A-4 and Mirage decals. RAN serials are from an A-4 set, using the "N-13" serials assigned to A-4s based on the logic that the F-8 entered service first and wold therefore have had the N13 designation, with the A-4s being N-14. Kit decals went on very nicely, but the canopy/windshield seal decals were VERY delicate and took a lot of work to get on in one piece. Sidewinders and Shrikes from Hase weapons sets. Paint is Tamiya White Primer from a rattlecan for everything white, Hataka Light Gull Gray acrylic through an Iwata NEO, and Valejo metallics for the metal engine areas. Overall I'm very happy with the result, even thought it is a very mild whif. *The one part of the build that was a challenge was the wing. Though the option of a raised or lowered wing is offered, the kit is clearly engineered for the wing to be raised. It took trimming of some of the underwing fuselage trunking to get it to sit anywhere near flush. It is still not perfect, but since the real thing is designed to go up and down every flight I'm not going to lose sleep over how the seams look. At least it finally sits flush. A mild whif, perhaps, but brilliant, none the less! I love it & I now have to strike that scheme off the options for mine because there's no way I'm getting close to the job you've done. Please dont!!! It is a gorgeous scheme and I would love to see your take on it! Very impressive. You've done a great job. Do Haswgawa give you dropped flaps and slats (IRL they are interlocked to the wing lift mechanism so if the wing is up they are down) or do they, like they do with the 1/72 version, encourage you to build a whiff by leaving them out? They look like separate pieces on the build (I can't check my kit, right now) so I'd say it's do-able. BTW, Mr AeroplaneDriver, I probably wasn't going to do the LGG/White, anyway. 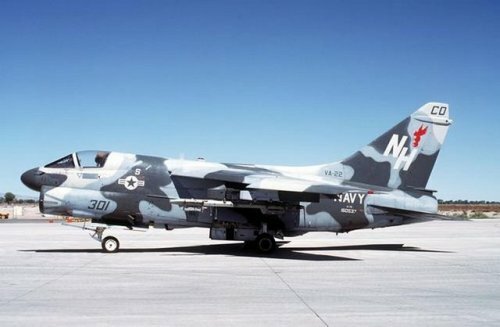 My highly probables are the RAN A-4 camo scheme or something akin to the USN/USAF wrap-around SLUF schemes or Gekko's RAN A-4 scheme from way-back-when. Triple grey wraparound SLUF looks good. All of the multi-tone greys look great! Go for it! The flaps/slats are seperate pieces.